Cherry Creek health club Pura Vida Fitness & Spa plans to close in April and lay off 150 employees, according to a letter to staff obtained by BusinessDen. “The current Pura Vida business model as it stands now is not financially viable,” wrote Founder J. Madden in the letter, which said the club plans to operate at full capacity until closing for good on April 15. Madden declined to comment when reached by BusinessDen Wednesday. Image courtesy of Pura Vida. 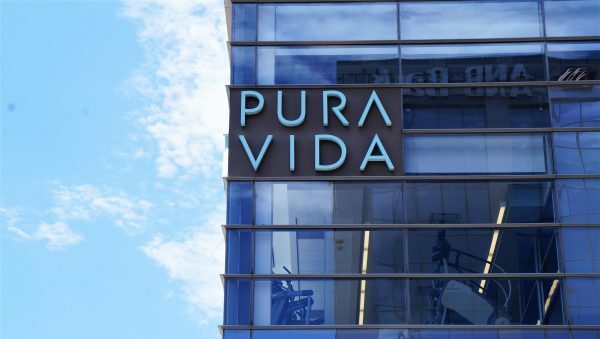 Madden announced in July that Pura Vida planned to open a gym in RiNo at the World Trade Center Denver, a mixed-use project that has yet to break ground. Madden said at the time that Pura Vida Studio RiNo has a different set of owners than the Cherry Creek gym, and that he was the only common denominator between the two groups. In a BusinessDen story about that deal, Madden said the average age of Pura Vida members in Cherry Creek is 38, and they pay an average of $175 a month. The Wednesday letter to staff did not mention the planned RiNo location. BusinessDen reporter Kate Tracy contributed to this report. 4 Comments on "Pura Vida to pull plug in Cherry Creek"
Sad. At one time this was the best gym in Denver. So many things changed, at the death knell was the new management that tried turning this once innovative gym into just another 24 hour fitness. But for $250 per month. My husband and I loved what it used to be, but when all the good people left in the fall, we knew its days were numbered. We need a nice and clean and innovative place in Denver to workout. The Denver Athletic Club is the nice, clean and innovative place you’re looking for! Please let me know if you would like to explore A Club For Your Whole Life. We are also sad that Pura Vida closed. We have tried TrueFit in Cherry Creek , the Cherry Creek Athletic Club, and SoulCycle. Unfortunately , none of these gyms measure up to Pura Vida. We have decided to buy a Peloton and join Fierce 45 and see how that works. Best of luck on your gym search! We were members of Pura Vida and are so sad that our beloved gym has closed. We were told we would receive a refund for our yearly membership by 4/1/19. We haven’t received the refund and haven’t success reaching anyone. Does anyone know who to contact to resolve this issue?